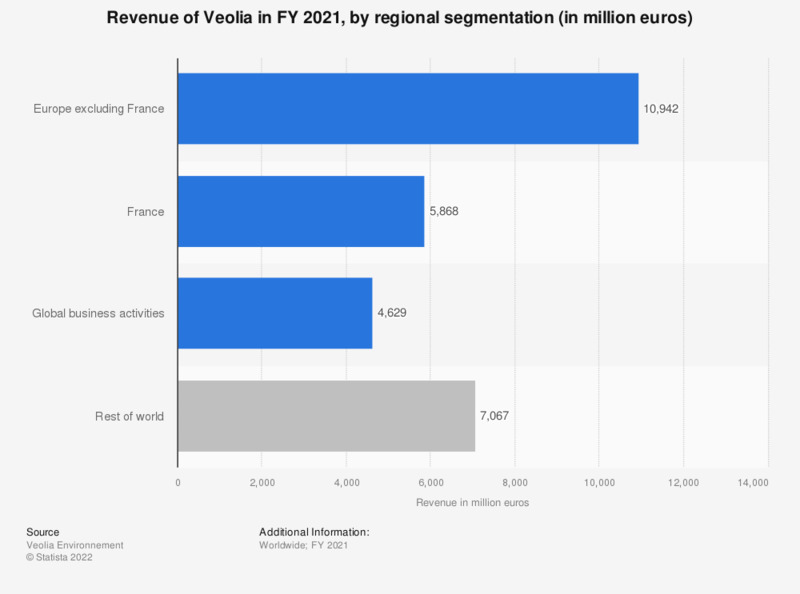 This statistic represents Veolia Environnement's revenue in the fiscal year of 2017, by region. That year, the French multinational environmental services company generated around 5.4 billion euros in domestic revenue. One euro is approximately equal to 1.23187 U.S. dollars (as of March 31, 2018). Everything On "Veolia" in One Document: Edited and Divided into Handy Chapters. Including Detailed References.